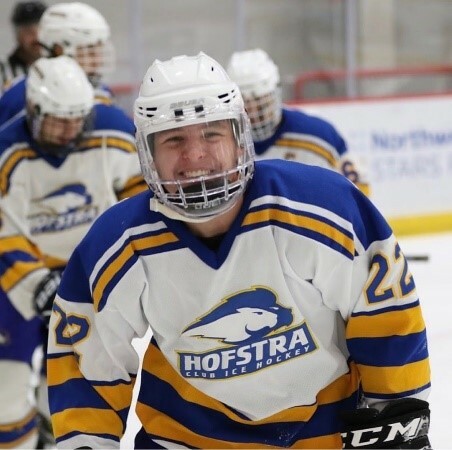 Club Ice Hockey hosted Suffolk County Community College at the Northwell Health Ice Center in Eisenhower Park on Sunday, November 11th. Darren Schwartz led the way with 2 goals, while David Frattaroli and Daniel Harchut added a goal apiece as the Pride beat the Sharks 4-0. Liam Hartenstein was brilliant in goal, notching 42 saves on his way to recording a shutout. Daniel Harchut celebrates his goal in the Pride's 4-0 victory over Suffolk County Community College on Sunday, November 11th. Club Softball traveled to Sacred Heart University on Saturday, November 10th to take on the Pioneers. Aly Morganelli’s grand slam gave the Pride a 10-6 victory in game one, but Hofstra would go on to drop the next two games by scores of 12-2 and 3-2. The Pride were back home on Sunday, November 11th to host the University of Connecticut. Unfortunately, the Huskies overmatched Hofstra on this day, sweeping the series by posting wins of 2-1, 13-1, and 15-3. Club Equestrian visited the North Shore Equestrian Center in Brookville, New York for a show hosted by LIU Post on Sunday, November 11th. Julia Shalov finished in 2nd place in the advanced walk trot canter, Tekla Simon finished 2nd in the walk trot and Taylor Morgan finished in 2nd in the walk trot canter. 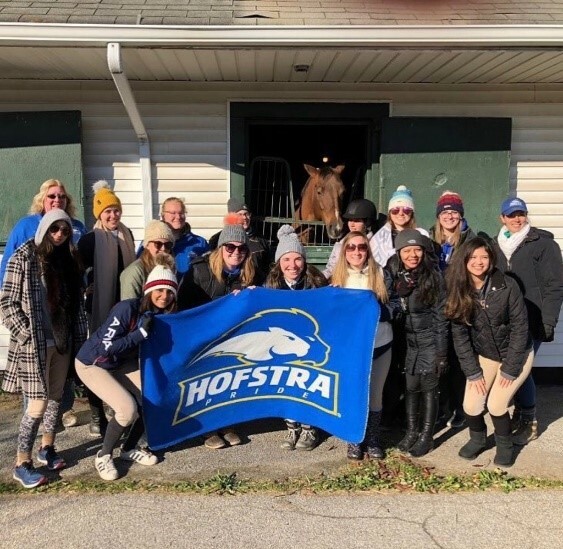 Club Equestrian celebrated a great performance at the LIU Post show on Sunday, November 11th. Club Climbing visited Brooklyn Boulders on Saturday, November 10th. The 17 members in attendance challenged themselves all day long, traversing new, more difficult routes and displaying improved climbing since the beginning of the semester. 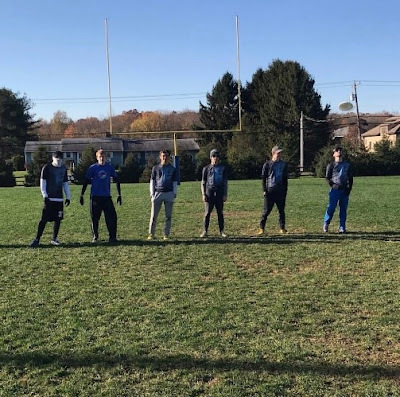 Club Men’s Ultimate traveled to Princeton, New Jersey on Saturday, November 10th for the Garden State 7 tournament. The team would post wins over NJIT and Princeton University, but would ultimately fall in the semifinals of the tournament to DEVYL (Delaware Valley Youth League). Club Men's Ultimate as they prepare for a semifinal match in the Garden State 7 Tournament on Sunday, November 11th. Club Women’s Ultimate also participated in the Garden State 7 Tournament, posting a victory over Cornell University on the way to a 9th place finish. Club Powerlifting traveled to Newark, New Jersey for the Revolution Powerlifting Syndicate Autumn Apocalypse meet on Saturday, November 10th. Noelle Arcaro finished first in her weight class, as she posted a squat of 175 lbs., a bench of 90 lbs. and a deadlift of 275 lbs. Andrew Sciglimpaglia finished 1st in his weight class with a 375 lbs. squat, 250 lbs. bench, and 375 lbs. deadlift, for a total of 1000 lbs. Helen Copp (2nd place) and Teale Armknecht (3rd place) also posted very strong performances for the Pride. The team now turns its’ focus to hosting the RPS InsurreXtion meet this weekend at the Hofstra Fitness Center! 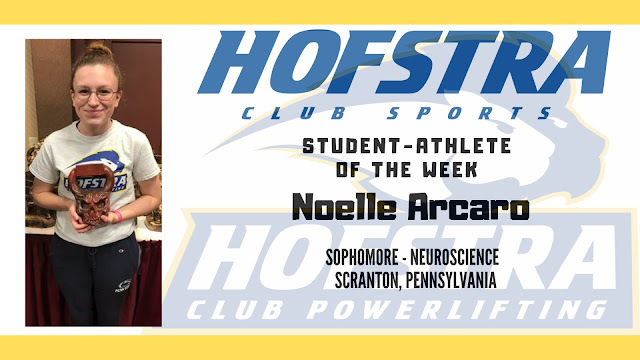 In her first competition, Arcaro shined, taking home first place in her weight class by posting a squat of 175 lbs., a bench of 90 lbs. and a deadlift of 275 lbs.